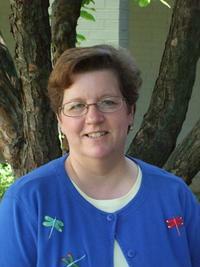 Sheri was born in Cincinnati, Ohio and moved to Kentucky when she was a junior in high school. She graduated from Woodford County High School in 1979 and The Lexington Computer School. Sheri worked at Tococo Mfg. (a clothing manufacturing company working for Calvin Klein Jeans) in Midway for 12 years in the office and running the shipping department. After the closing of the company she went to work for a temporary service and eventually was asked by the temporary service if she would be interested in working for a church. She admits being skeptical at first and the rest is history! Sheri started working at First Presbyterian Frankfort in March of 1994 and in July of 1994 the church bought out her contract with the temporary service and hired her full time. In July of 2014, she will have been here 20 years. Sheri relates that it is a blessing to work for the church and she feels God called her to be part of the ministry. Sheri and her husband, William, reside in Frankfort and have been married 36 years. Their daughter, Kristin is married to Jonathan West and they reside in Salvisa with their two daughters, Kyler & Kora.